THE latest slump for the Camden Liberal Democrats in last week’s election results suggests we may be waiting some time before a repeat of the drama which coated a genuine three-way contest in Hampstead and Kilburn back in 2010. It might have been a one-off event for a generation, and even as a reporter you felt privileged to be in the grandstand for a clash which was unpredictable to the end. The campaign just gone was always going to be a pale re-run in terms of intrigue. 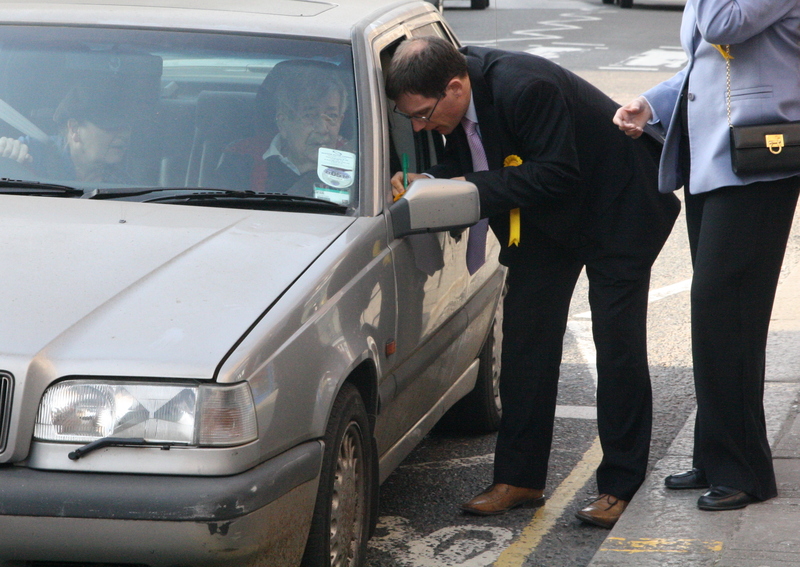 And as people talk about Tulip’s defence of the 42-vote majority and Chris Philp’s alternative route to the Commons in Croydon South, it’s worth remembering Ed Fordham, the Liberal Democrat who may now always be the person who went closest to winning a parliamentary seat in this borough for his party. After polling just over 3,000 votes this time, local Lib Dems do not deny that it will be a long road to see the finishing post up close again. Certainly, Ed fairly feels his own near miss is too often forgotten when the story is redrafted with each telling of the 2010 contest. If people thought Simon Marcus was close in the poll against Tulip, Ed, the record books show, was closer. History, however, is rarely written by the guy in third place… unless, that is, it’s on the Lib Dem Voice blogsite, which this week features a personal piece from Ed on how hard losing – particularly, narrowly – is to shoulder, a sort of trumpet of solidarity for party colleagues, and friends who were banged out of their seats last week. It is only “half-true” that time is a healer, he says. The 2010 battle for H&K was such a strange election, because you had these two guys in Ed and Chris who were busting a gut to win, and who while reporting on the campaign you’d see almost every day. And then there was the Labour candidate – Glenda Jackson – who sort of appeared in the last week or so, strolled into the election count, won, and waltzed off again, despite not really seeming to want the job they were all applying for in the same way. Ed really wanted it, knew he could win on a good day, and when he didn’t the disappointment was etched deep over his face. After the count, it was one of those moments where you almost felt apologetic for trying to get a quotable reaction afterwards, when the bald facts of defeat really spoke for themselves and there’s not really much more to say to a journalist however many different ways we phrase the same question. How do you feel? Why do you think YOU lost? How? Why? The bravefacery is awkward, painful. When Ed writes that “none of it is fair”, there will be many who disagree and think that his high-up friends were simply judged on their choices and policies over five years, and the electorate fairly chose something else. But I don’t think his blogpost really is a grab for pity from opponents, more just a written reflection on how a win-lose see-saw result that is casually tweeted about by you and me, reported about and sometimes laughed about is actually a really big deal, personally, for those at the centre of the theatre – even if they walked onto the stage voluntarily. It’s not a case of him asking for people to feel sorry for Lib Dems who made their own bed and then felt it uncomfortable to lie in, more an honest account of what happens when everybody goes home and the disposable gossip of who won where is replaced with another news story, another event. What a sad tale, had me almost reaching for the tissue box, its never nice to lose but sadly someone has too. Simply the goods on the Lib Dem stall were not to the public liking, so Ed chin up old chap and look to change the merchandise.